It has been quite awhile I update about my personal life as well as my travelogue. I have been very lazy in updating my own stuff, especially travel posts cause I wanna be as detailed as possible I need to sit down, really focus and recall back my trips which may took me hours to write the post. Don’t know why, today I suddenly got an urge to back date my trips in 2014. I know this is very very late, Super Show 6 had officially ended, their last show was in Jakarta. I missed their Singapore SS6 cause I was in Perth, I’m very very sad about it cause I always travel to see them but when they were here in Singapore my homeland, I couldn’t see them. It’s okay, at least I have seen a total of 5 super show 6 in Seoul and Taipei. If you have followed me in instgram, you can see those pictures I updated on my instagram during last year Sept and Nov. It was an unforgettable experience, which left me a great impression watching Super Show in Seoul. I missed SS5 cause I had another travel plans during the period, I got to miss it. But I tell myself I can’t miss SS6! I booked my package through SMTown Travel, as you all know SMTown is company of Super Junior, TVXQ, EXO, SNSD, Boa, Shinee and etc.. They opened a ‘travel agent’ company to cater overseas fans and bring them over to all over the countries to watch their SMTown artists concerts. The package usually includes a 3D2N hotel stay, concert tickets (1 Day), tour on the concert day, 1 meal and etc. It’s definitely not cheap compare to you DIY your own trip and purchase the concert tics thru GMarket Korea. BUT by getting package from SMTown guaranteed us from getting a decent concert seating and standing area, we get to sneak peek the concert stage before the public. Getting package from SMTown travel is not easy too, we almost couldn’t get the package. But anyway thank god, we managed to get it in the end. My sis and I bought 2 packages each in total, Package for Day 1 concert and Package for Day 3 concert. We want to attend all the 3 days concert so we got to get at least 2 packages to cover at least 2 nights concert. Don’t ask me how much we spent in total, it really costed us a bomb but we didn’t regret and if in future we have chance we will get SMTown package again. 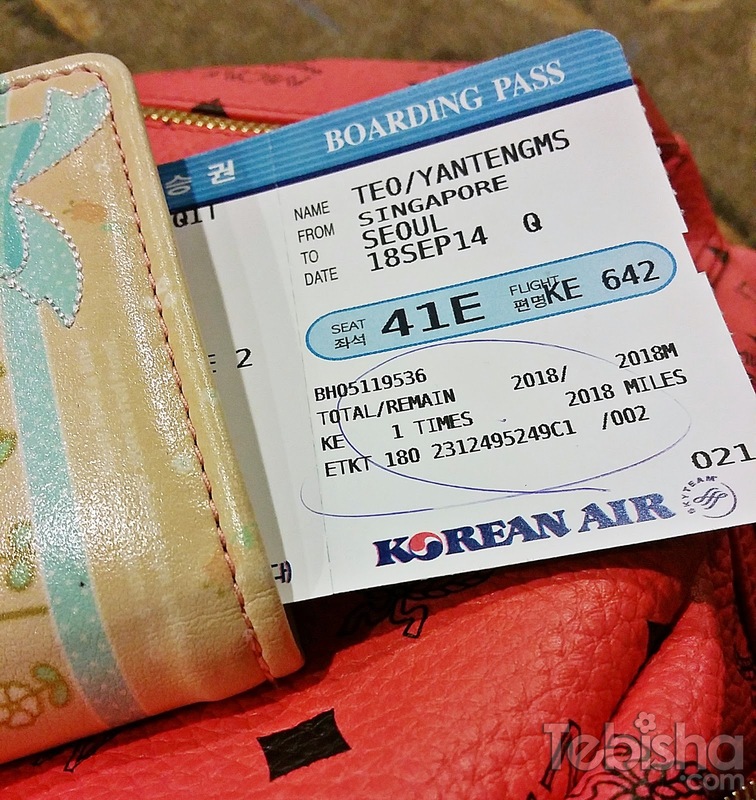 We travelled by Korean Air, my first KE flight. Not having a good experience for overnight flight, cause I’m a very light sleeper I always couldn’t get into sleep on plane. Plane food was bad, we were left with plain porridge when stewardess served us. I still prefer SQ and Asiana but KE got the cheapest direct air fare on the period. Touched down Incheon Airport early in the morning like 6am? We took the airport limousine bus 6015 to Myeongdong. My Day 1 concert package from SMTown Travel, we booked the cheapest package which is Hostel grade. 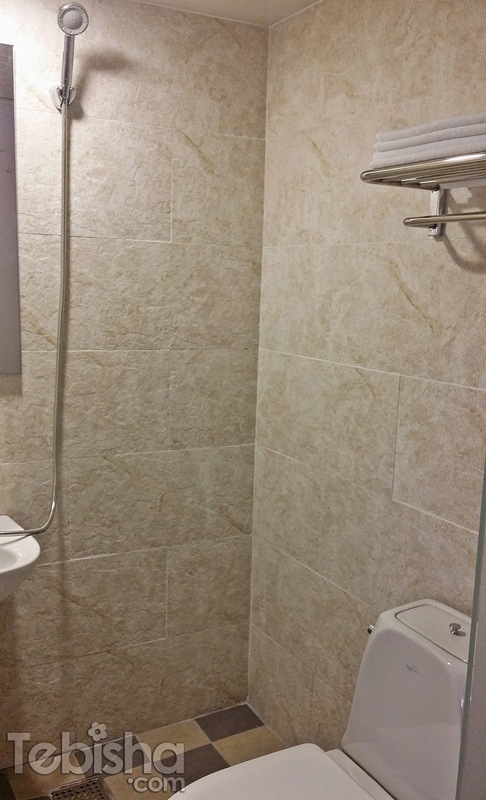 I’m afraid of the cleanliness and the inconvenience of sharing public toilets so we didn’t stay in the hostel that they provided. We booked Kyuhyun’s guest house instead. Kyuhyun just opened a cafe + guesthouse in Sept 2014 situated in Myeongdong, which just in time for our trip in Seoul. He’s my bias in Super Junior, of course I have to stay in his guest house. And we managed to secure a twin room for our first 2 nights stay! We were given type room C-1 room for 2 people (bunk bed). The room is clean and decent, every floor has a pantry for us to get drinking water and microwave oven to warm our food. 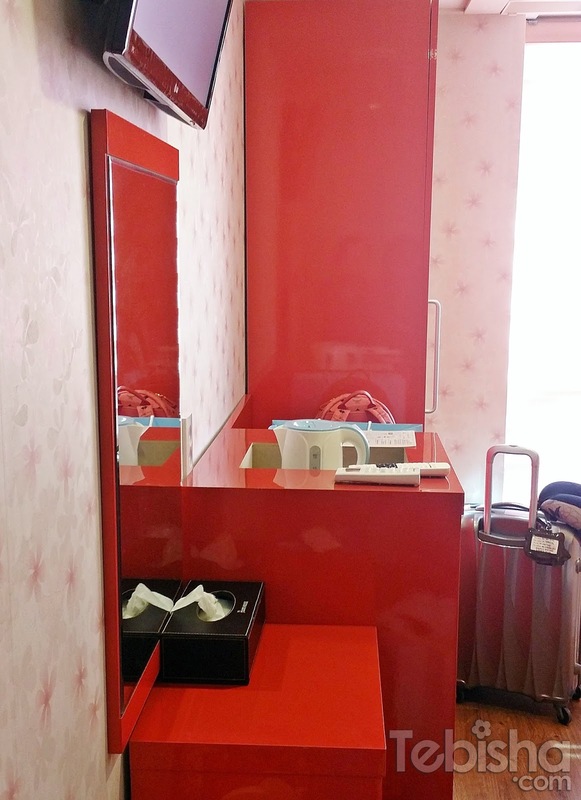 Room equipped with a TV (its a bit too high, we need to raise our head in order to watch TV which can be a little tired for our necks), dressing table, wardrobe, kettle, hair dryer and air-conditioner. 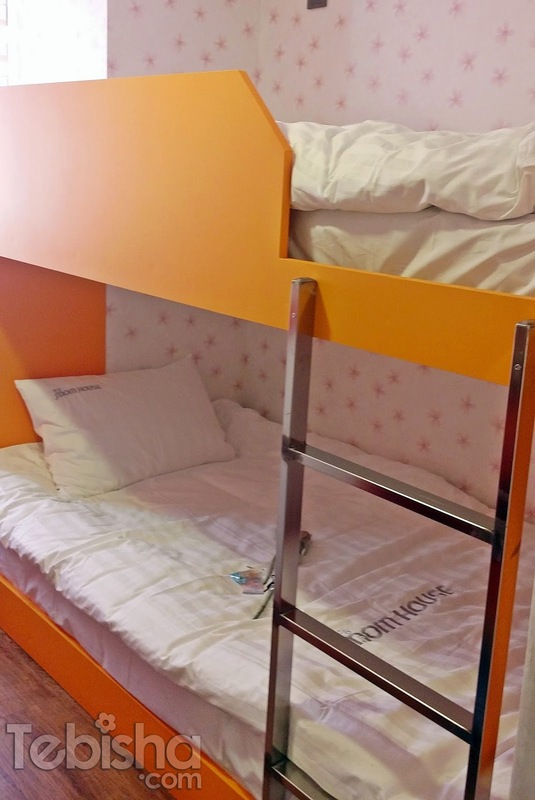 Our bunk bed, there’s 3-pins universal electrical sockets next to both up and down beds, we don’t have to use travel adapter to charge our electronic devices! Comforter and bedsheets material is slight rough but we managed to tuck in bed and slept throughout the 2 nights cause we were totally exhausted and drained from the flight and concert. 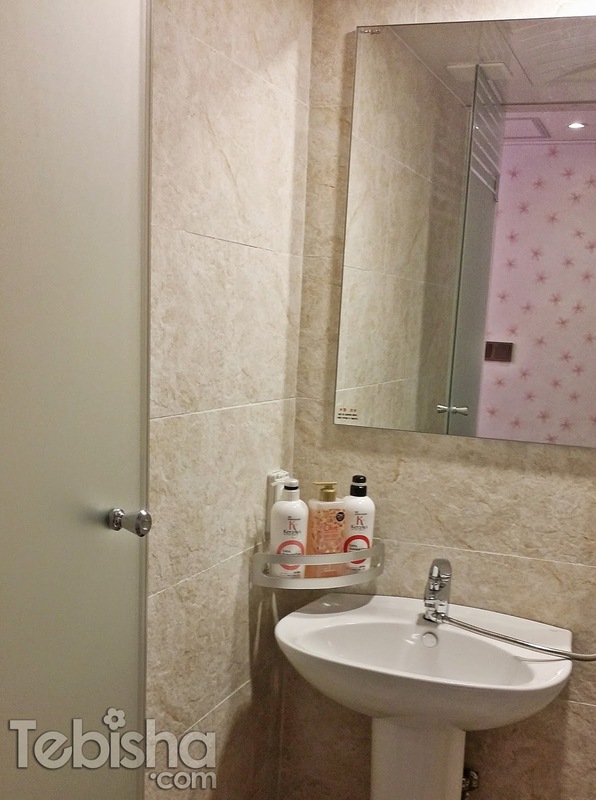 Every rooms have attached bathroom, they provide towels, slippers, shower cream, shampoo and conditioner. Opening gifts for all room guests! 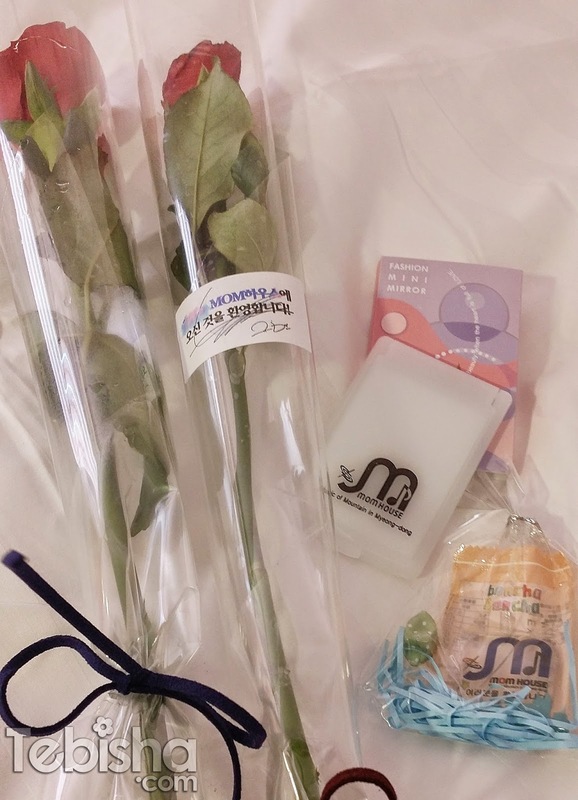 Roses with printed Kyhyun’s signature on the wrapper, MOM pocket mirror and mints. I shall end my 1st post here, will continue again.